Sheila (born Annie Chancel in Créteil, France on August 16, 1945) scored numerous hits in her homeland during the 1960s and the 1970s. Among her chart toppers were 'L'École est finie' (1963), 'Vous les copains' (the French cover version of Manfred Mann's 'Do wah diddy diddy' in 1964), 'Petite fille de Français moyens' (1968) and 'Les rois mages' (a cover version of 'Tweedle dee tweedle dum', originally performed by Middle of the Road in 1971). Her success helped her producer Claude Carrere to launch his label Carrere Records. In 1977, Sheila completely changed her public image when Sheila & B Devotion was formed. 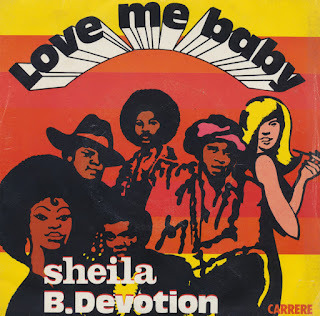 Because Carrere did not want to shock Sheila's public and the French media, the debut single of the group ('Love me baby') was released anonymously in May 1977 in France. 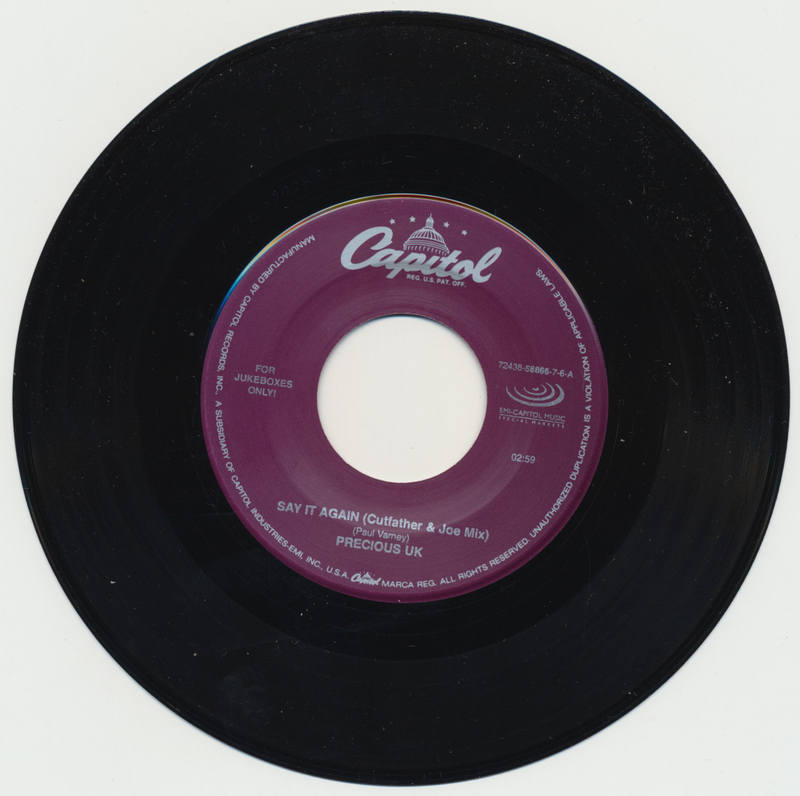 The first pressings of the record mentioned the obscure name of S.B Devotion. The song was a radio and club hit. The identity of the group was rapidly revealed and the quartet was officially named Sheila B. Devotion. The single became a mainstream top 10 hit all over Europe. After Howard Jones'contract with Warner Bros. ended, I lost track of him for a couple of years. I was quite surprised when I found out that he'd steadily released albums like 'Working in the back room' and 'People' while I wasn't paying attention. Thanks to the internet, I quickly reconnected at the end of the Nineties. I bought the albums and some CD-singles, and all was good in the world again. Last week I found out that one of his late Nineties tracks was also released as a 7" single in the USA. 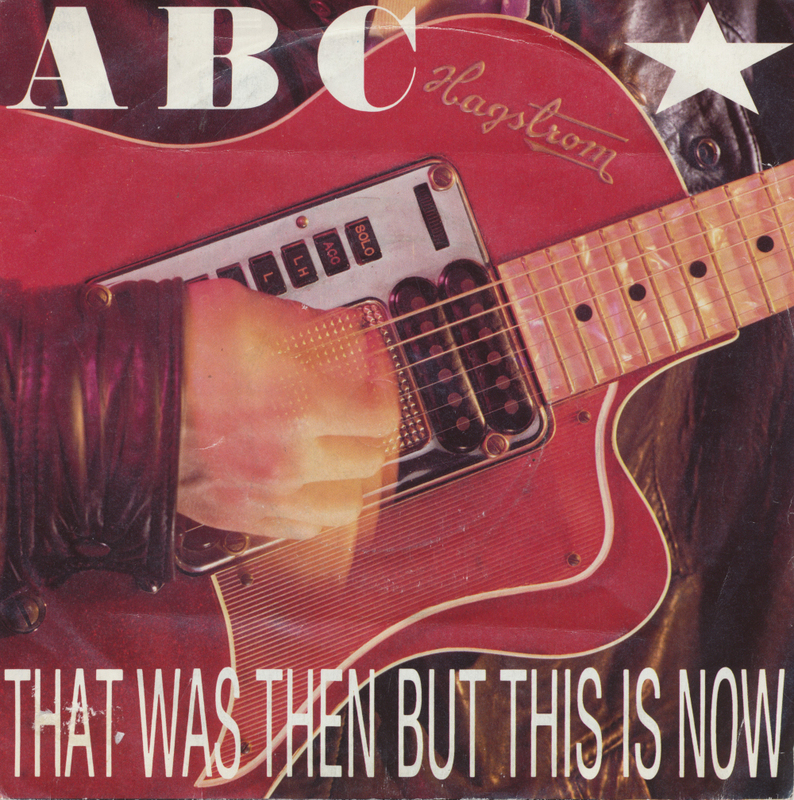 'Tomorrow is now' features 'Let the people have their say' on the B-side, and both were released as CD-singles at the time. It's great to finally have this 7" single as well, even if it's just a jukebox release. The girl band Precious was formed at the end of 1998 by Sophie McDonnell and Jenny Frost. A set of auditions saw the remaining members join, these were: Anya Lahiri, Kalli Clark-Sternberg and Louise Rose. In 1999 they were chosen to represent the UK at the Eurovision Song Contest in Israel. While the single went to number 6 in the UK singles chart, their success at Eurovision was more limited, as they ended up in 12th place. After three more singles (two of which were hit sigles) and a debut album which failed to chart, the group were dropped by their label and it was decided that the individual members should pursue separate careers. Sophie McDonnell started presenting for BBC TV and Radio including their CBBC brand, Jenny Frost replacing Kerry Katona in the band Atomic Kitten, and Anya Lahiri returning to her modelling activities. Lead singer Louise Rose also become an actress, her credits include the 2008 mini-series "Diamonds". Kalli Clark-Sternberg has since become a session singer. 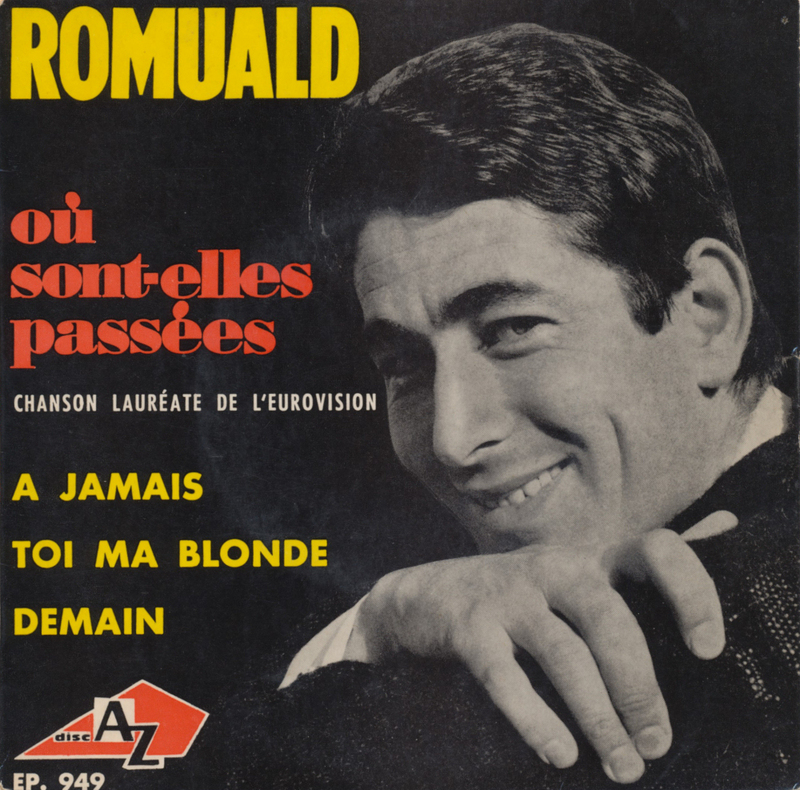 'Où sont-elles passées' ('Where have they gone') was the Monegasque entry in the Eurovision Song Contest 1964, performed in French by French singer Romuald. The song was composed by noted French orchestra leader Francis Lai, best known for his film scores. Romuald laments the departure of the girls of his youth, explaining that as he grows older he loses the enjoyment and mystery of his early romances. It was a successful song for Monaco that year, ending up in third place. 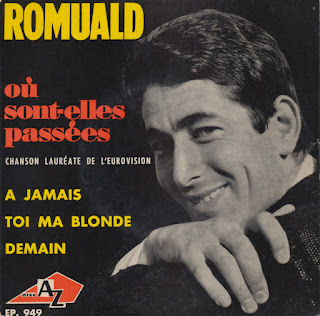 Romuald ended up participating in the Eurovision Song Contest two more times: in 1969 for Luxembourg with 'Catherine' and in 1974 for Monaco once more with 'Celui qui reste et celui qui s'en va'. 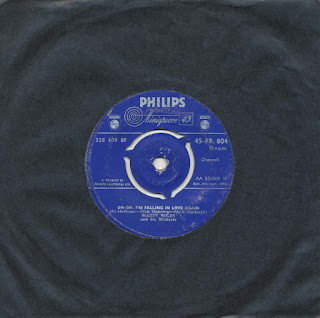 Released in 1958, 'Oh-oh, I'm falling in love again' was one of the earliest Marty Wilde singles ever released. At this stage, singles were still being released as 78 rpm discs as well, but while I'm still after those, it was good to find this little gem. 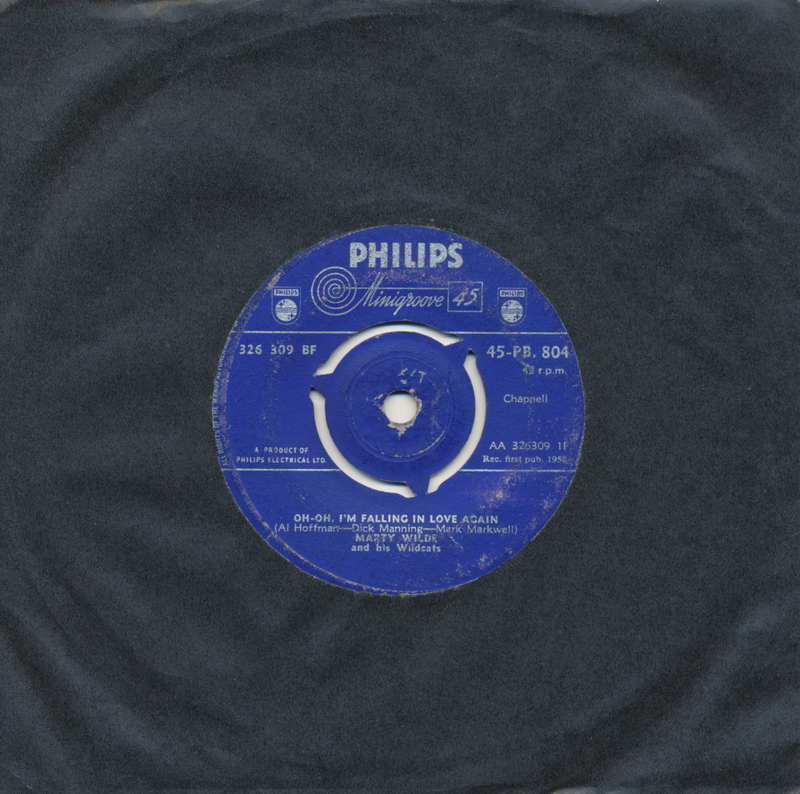 Marty Wilde and his band the Wildcats recorded this track which was originally released by Jimmie Rodgers who had a hit with it in the USA. Marty's version failed to chart but he still managed to have five top 10 hits in 1958 and 1959. 'Single' was the third single taken from Everything but the girl's 1996 album 'Walking wounded'. After two top 10 hits in the UK, this single only peaked at number 20, despite being perhaps the best track of the three of them - in my opinion of course. I was already quite happy to find a single of the previous single Walking wounded, but it turns out that 'Wrong' and 'Single' were released as a 7" single as well - albeit just for jukebox purposes. It's just a matter of finding them online because it's nearly impossible to find these singles any other way. One of the most successful Eurovision entries for the United Kingdom in recent decades was Gina G's 'Ooh aah... Just a little bit'. It was a top 10 hit in the UK even before she took to the stage at the Oslo Spektrum in Norway on 18 May 1996. Dressed in a short thigh-skimming glittery metal dress, her vocals turned out to be too weak to carry the song in a live situation, causing her to only make it to eighth place in a field of 23 competitors. 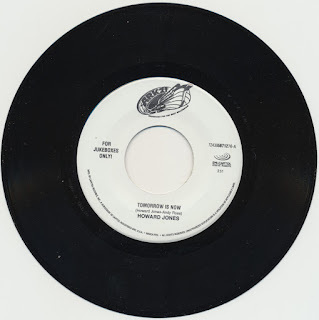 I wasn't aware that this song had even been pressed onto 7" vinyl, until I found this jukebox copy online. No picture sleeve unfortunately, because jukebox singles usually don't come with those, but the song remains one of the best efforts from the UK. 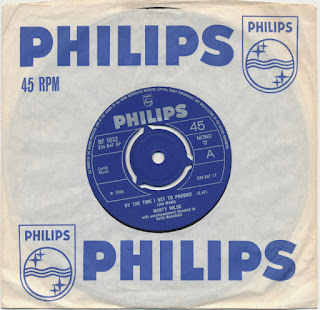 My listing of old Marty Wilde singles continues, because I've bought quite a few of them recently. 'I've got so used to loving you' was one of them, another unsuccessful single for Marty from the mid-Sixties. Released in 1966, it failed to chart despite its beautiful melody. The song was written by Jerry Brooks and Al Stillman. 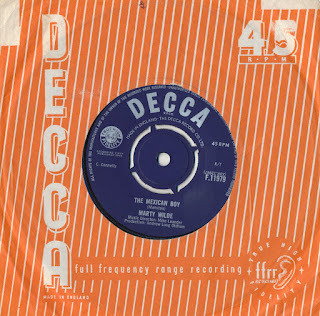 The B-side was written by Marty Wilde himself with Ronnie Scott. 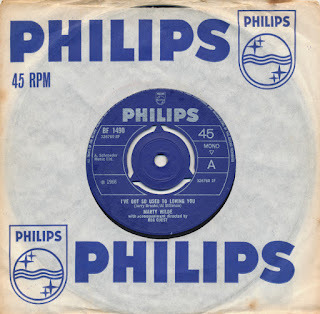 'I've got so used to loving you' was also recorded by Leola Jiles, former member of the Apollas, in America in January 1967. When vinyl was first pronounced dead, at the beginning of the 1990's, record companies stopped making 7" singles for shops. 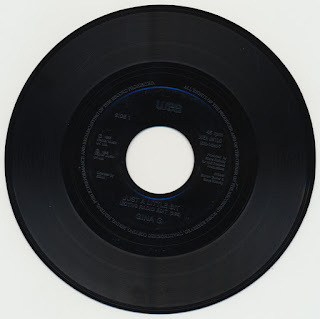 However, 7" singles were still being made for jukeboxes and promotion. 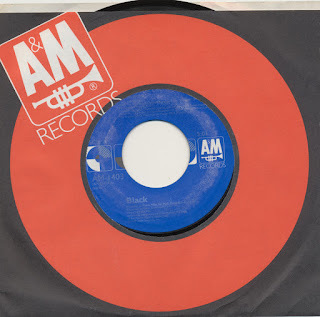 In those days, it wasn't so easy to buy such 7" singles, but in this age of internet, nothing is impossible. 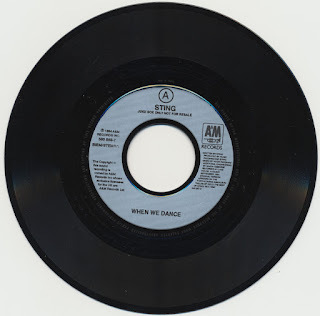 I was quite surprised to find out that there was a jukebox 7" single for Sting's 1994 hit 'When we dance'. The track was recorded for the compilation album 'Fields of gold: the best of Sting 1984-1994' and it was a smooth, slow ballad quite similar to 'Fields of gold' actually. 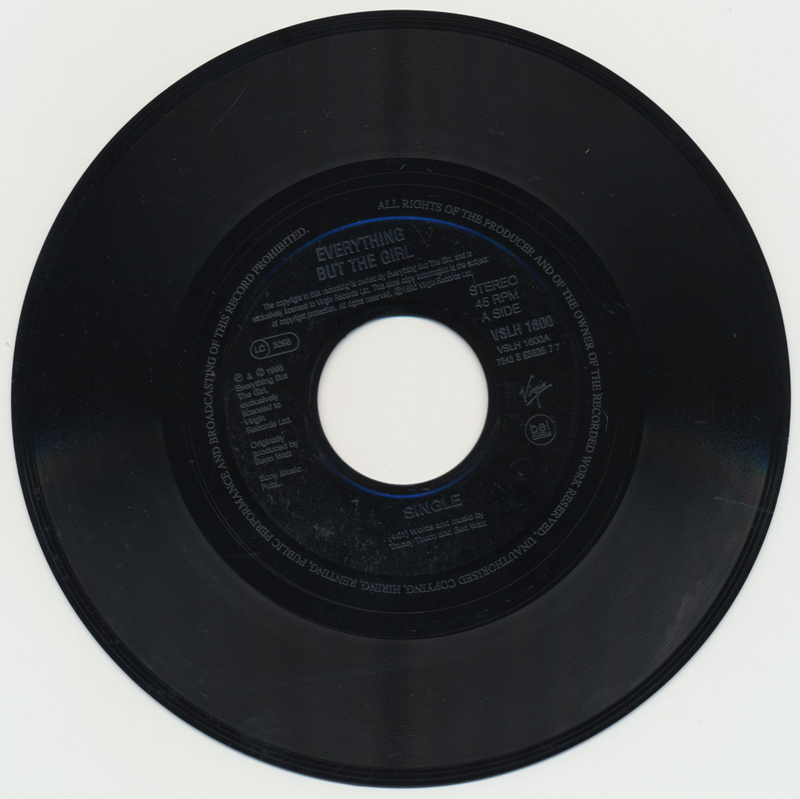 This single features one of his earlier solo hits on the B-side. After the success they enjoyed with their debut album 'The lexicon of love', ABC decided to do things totally different on their second album, 'Beauty stab' (1983). 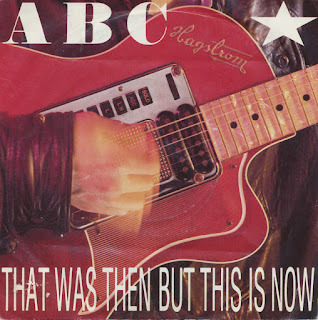 The single 'That was then but this is now', released in advance of that album, was an indication of their changed sound: lots of guitars, loud drums and no love song, but a politically-charged stab at Thatcher's Britain. The single was reasonably successful, reaching number 18 in the UK and number 13 in Ireland. This is one of those singles I thought I already had, for many years. And then recently I discovered it wasn't there. It wasn't hard to find a copy online. And so I ordered it along with a handful of other great UK singles. 'The Mexican boy' does not appear on all the compilation albums of Marty Wilde that appeared recently. It was originally released on September 11, 1964. Both the A-side and the B-side were written by Marty Wilde himself, using the pseudonym Frere Manston. The song also appeared on Marty's 1969 album 'Diversions' as 'Juan the Mexican boy'. That album is definitely in need of being released on CD. The B-side 'Your kind of love' could serve as an excellent bonus track. Let it never be said that I stick to my own opinions all of the time. 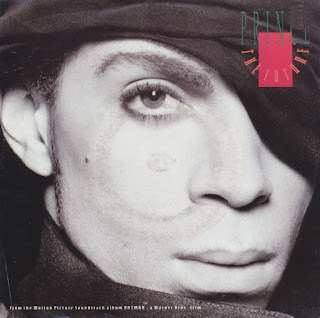 While I'm not too impressed by Prince's soundtrack for the Batman movie in 1989, I recently heard this single 'The future' and thought it was a nice track. Much of this is caused by the excellent remix by Mark Moore and William Orbit. Moore and Orbit substituted a muted, pulsating beat in place of the original elements of Prince's song. Moore and Orbit also removed Prince's original bassline, synthline, and snippets of sampled dialogue. 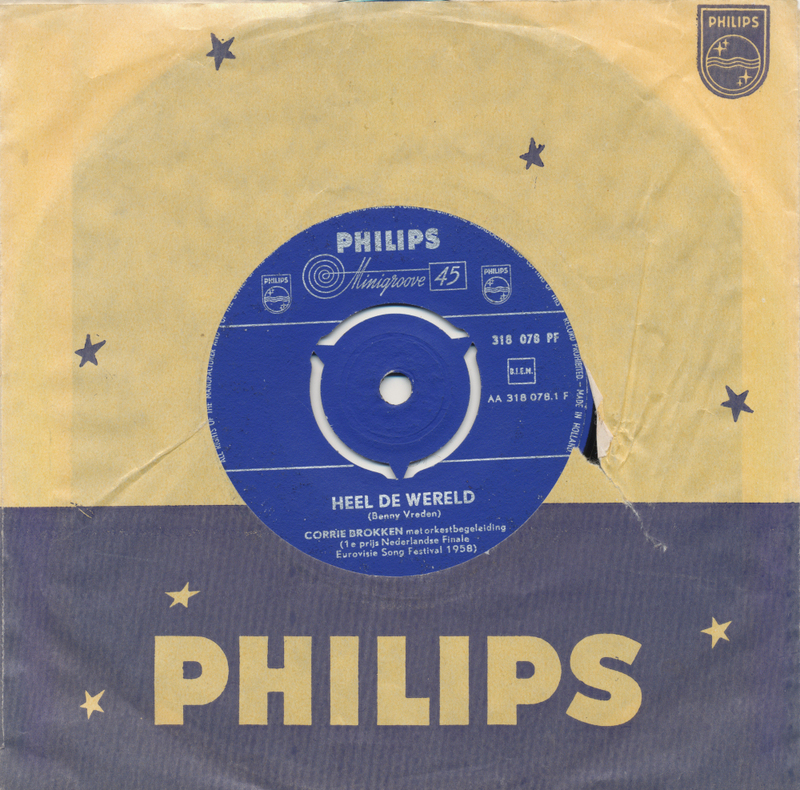 The single did not chart in the UK and the USA, but managed to peak at number 9 in the Dutch Top 40. 'Can I get some nasty bass? 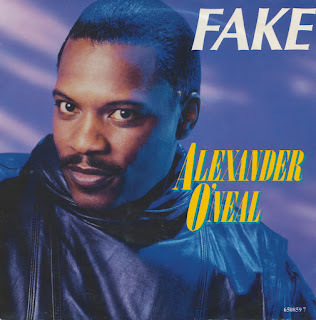 ', asks Alexander O'Neal at the beginning of this track, an obvious reference to Janet Jackson's Nasty, a big hit for producers Jimmy Jam and Terry Lewis a year earlier. Released in 1987, 'Fake' was Alexander O'Neal's first big hit worldwide, followed by Criticize. Both singles were taken from his album 'Hearsay', which was his most successful album, the only one to chart in many countries around the world. His career continues to the present day. He is not only successful as a singer, but also appeared in various television programmes, most remarkably in The Weakest Link and Celebrity Big Brother in the UK. Nothing wrong with a bit of Clannad now and then. Their music is certainly more varied than family member Enya's. The single 'Live and learn' was released in 1988 and taken from the album 'Sirius'. It was the follow-up to White fool, and preceded the single The Hunter. Whereas the album 'Sirius' was a success, peaking at number 34 in the UK albums chart, this single did not chart at all. Much like all the other singles taken from this album, I might add. 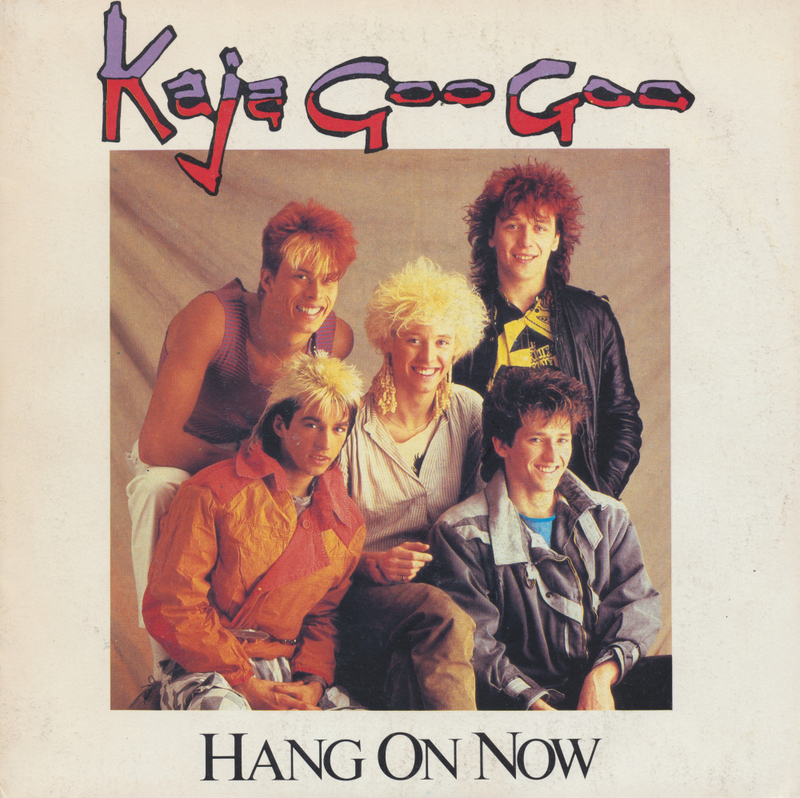 Although I already own a copy of Hang on now by Kajagoogoo, this single caught my eye because of the completely different sleeve. When I checked the label, it turned out to contain a "US mix" of the song. Obviously I had to buy this one. Checking this single out on Discogs.com, I found out that this particular mix was never released on CD, which makes it a nice collectable one. Sometimes you get lucky. Bucks Fizz had a good 1981, winning the Eurovision Song Contest and having considerable success with their debut album and singles. By 1982, they had to work on maintaining that high profile. 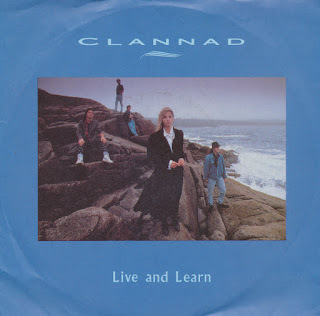 They were reasonably successful, with singles like The land of make believe and My camera never lies, although they were still regarded as a lightweight pop act. 'Are you ready' was the title of their second album. The title track was released as a single outside of the UK. The single didn't end up in the Dutch singles chart. The song Lonely Avenue was featured on this blog eight years ago, because it appeared on an EP together with three other songs. Two of them appear on this original 7" single, released some time before that EP. 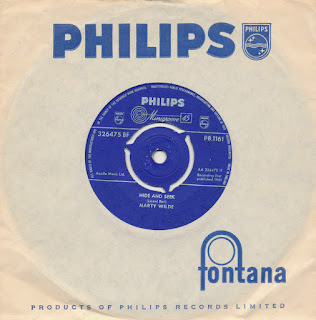 Bought together with a few other Marty Wilde releases, I decided I wanted to have this original release too. It's interesting for fans of John Barry that he appears on these two tracks with his orchestra as well. Well, this year's Eurovision Song Contest happened, with a landslide victory for Portugal - and rightfully so. It was the first time in a very long time that I agreed 100% with the song winning. Musically the song vaguely resembles the 1963 winner Dansevise, with its timeless melody and, yes it has to be said, lyrics almost no-one can understand.All the same, this was the only song this year that was actually moving and beautiful. It doesn't seem likely that we'll get a vinyl single of 'Amar pelos dois', but in the mean time another former (!) favourite for the Eurovision trophy has made it to 7" vinyl, and that's Italy's Francesco Gabbani. 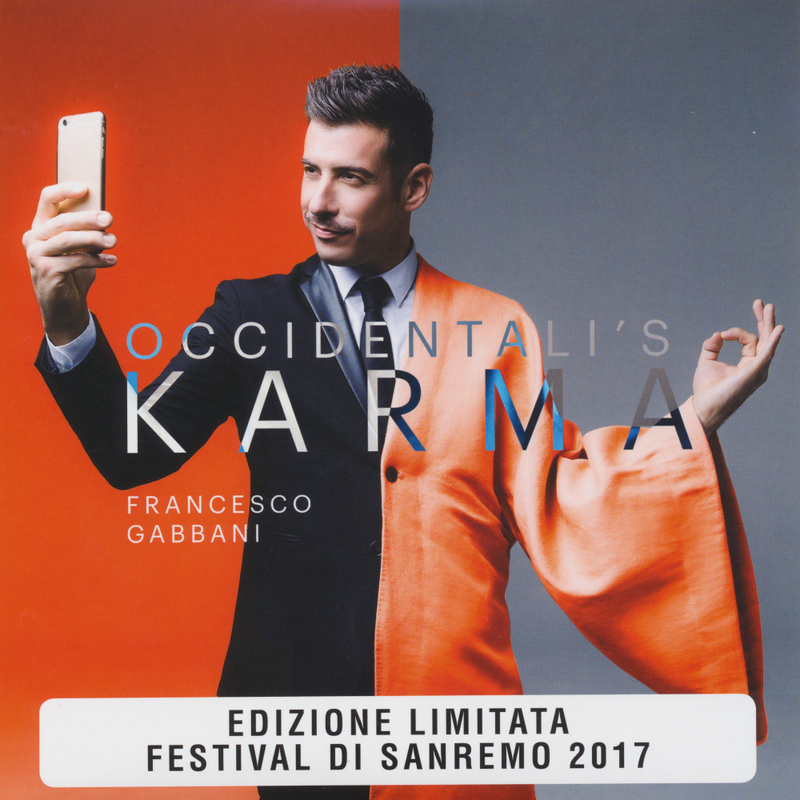 Lyrically, 'Occidentali's karma' is quite interesting, stating that despite all our technology, Westerners are still naked apes dancing in the rain. The fact that the performance underlined this by presenting the audience with a person in a gorilla suit once more outlined the 'gimmicky' nature of the Eurovision Song Contest. And so I'm happy that the song didn't win. This 7" single, pressed on blue translucent vinyl, is a keeper though. Tomorrow night is Eurovision night for the 62nd time, so it is appropriate to post something Eurovision before the fun starts. The Netherlands won't win this year - again - so I might as well post something from the old days when we still had winning artists. Corry Brokken won the Contest in 1957 with 'Net als toen'. I can't post about that one because I already have. However, she also competed in 1958. That single has proved elusive during the past five or so years. Believe me, I was looking everywhere: Ebay, Discogs, record fairs... the lot. And suddenly, earlier this week, I thought I might as well type in 'Corry Brokken Heel de wereld kopen' (kopen being Dutch for 'buy') in Google and see what happened. And there it was... a link to a Dutch web store, selling a copy of this single for a ridiculously low price. I ordered it right away and received the single today, just in time for a little Eurovision celebration. You are bound to see a few Marty Wilde singles on this blog in the foreseeable future, because I am working on getting them all. That's not always easy, but this week I managed to mail order five of 'em together. 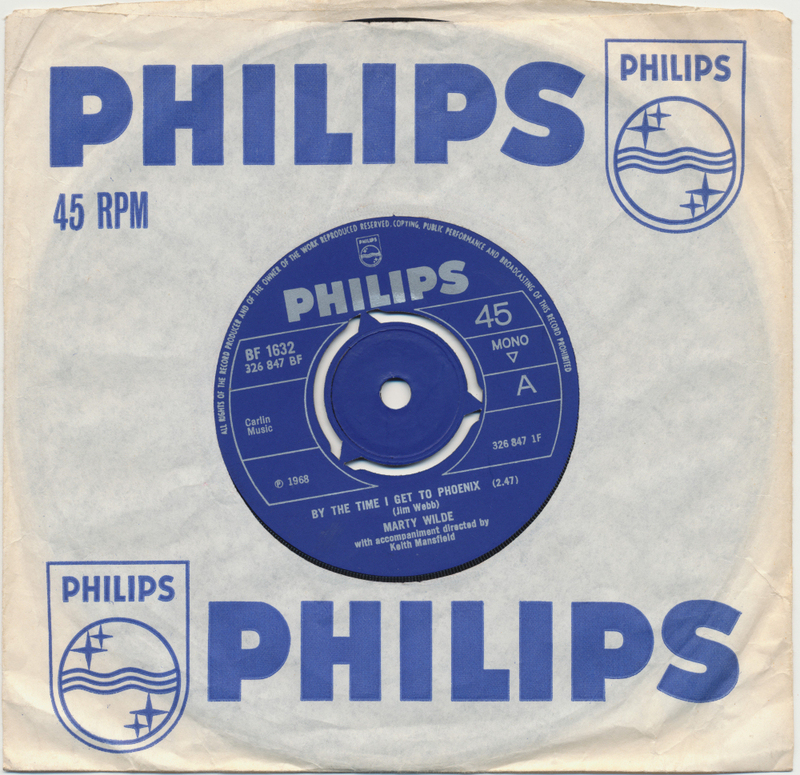 'Hide and seek' is the oldest of the lot, released in July 1961. 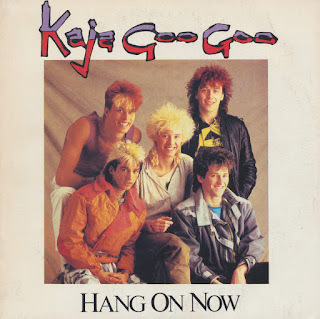 After 'Rubber ball' was a top 10 hit, peaking at number 9 in the UK singles chart, this single was a relative disappointment, stalling at number 47. 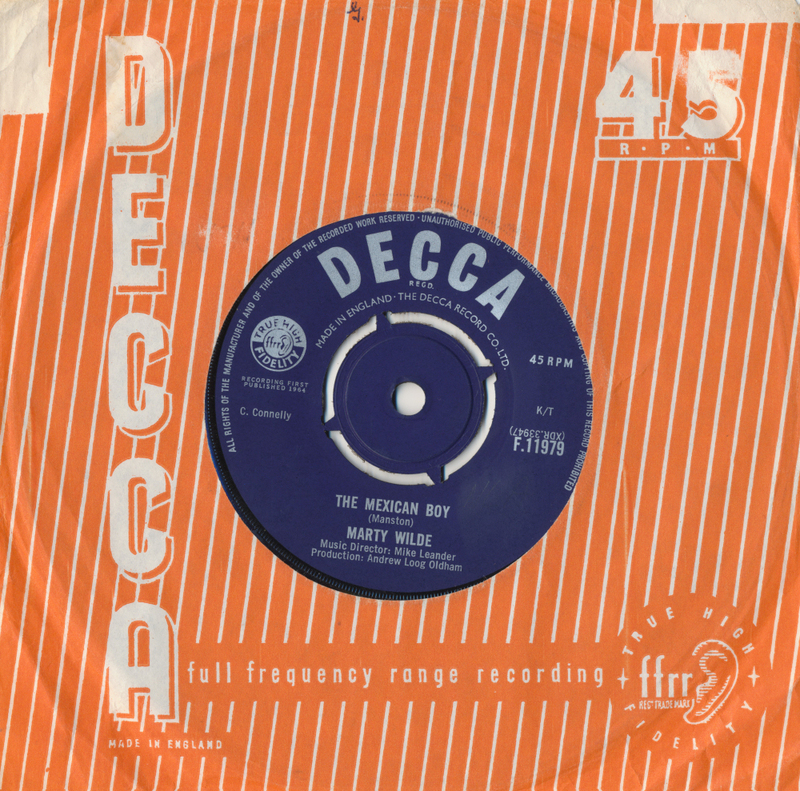 The B-side, 'Crazy dream' was written by Marty himself, while the A-side was a cover of a song written by Lionel Bart. In 1988 Black re-recorded his 1987 hit 'Wonderful life' for the American market. The new version was included in a version of his second album 'Comedy' that was compiled for the USA. 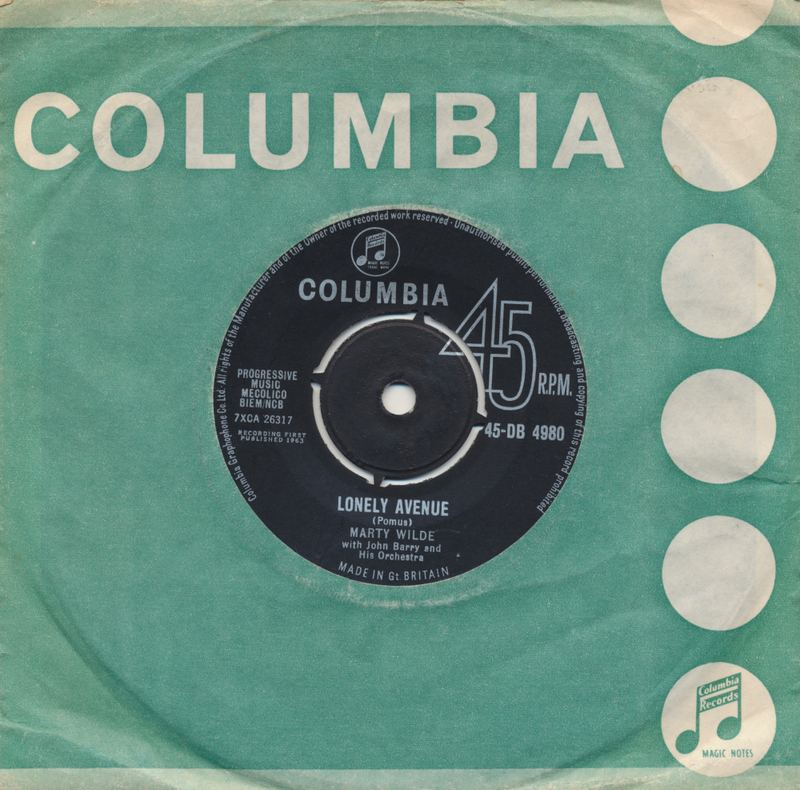 It included this version of 'Wonderful life' and 'Sweetest smile', and a selection of tracks from 'Comedy' as it was released in Europe. I didn't know that a single of this re-recorded version existed, until I started scouring websites like Discogs.com some time ago. And even then I didn't feel the urgency to buy the single. But the opportunity came up recently when I bought a stack of singles from a German dealer, and I just couldn't resist. As far as I know, this single is the only one with the re-recorded version, although CD-singles exist. But, of course, I do own those. Marty Wilde is best known for his run of hit singles between 1958 and 1962, but his output from later years is less well known. Most compilation albums focus on those five years, whereas he naturally evolved as a singer and songwriter. This single from 1964 is a great example. The music of 'The Mexican boy' evokes images of Latin America whereas the story told by the lyric of the song is like a small theatre piece. Marty almost sounds like a crooner despite his relatively young age (he was 25 years old at the time). The single didn't become a hit, but obviously it should have been. 'Erstauflage in rotem vinyl' declares the sleeve of this single, meaning that red vinyl is what you get. And that is of course a great incentive for buying a single. In this case, it was my main incentive because I didn't know the song. I did know, however, that Hubert Kah collaborated with Michael Cretu and Sandra at the time, and that meant that this single would probably be German pop at its best. And indeed it is. 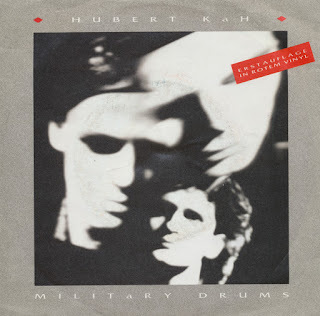 'Military drums' delivers quickly, and the production is typically Michael Cretu mid-'80s style. No real surprises, then, but a pleasant piece of pop nonetheless. There have been a few earlier entries about the Belgian band De Strangers, as they have a repertoire partly consisting of covers of Eurovision songs. These covers are interesting because they are so different from the original. 'De mono-kini' is a version of '9 to 5', originally performed by Dolly Parton. But I really bought this single for the B-side. 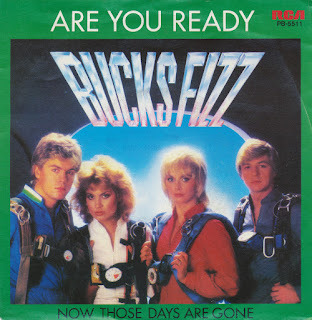 'Mor ni me den deze' - recorded in their local Antwerp dialect as usual - is a version of Bucks Fizz's 'Making your mind up'. I wish I could tell you what the lyric is about, but there is no way of knowing for someone who cannot understand that dialect. The fact that I found this single at a local flea market makes it interesting: how does a Belgian single like this end up near The Hague? Those Spanish singles can be treacherous sometimes. 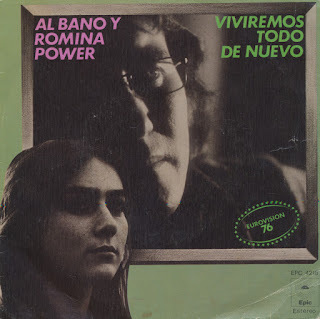 When you buy a single like this, with the title 'Viviremos todo de nuevo' prominently on the front sleeve and on the label, you'd think there was a Spanish version of this 1976 Eurovision song. Even Wikipedia fell for it. But nothing could be further from the truth: this single simply features the English/Italian version as sung during the festival, as you can hear below. Al Bano and Romina Power reached 7th place in a field of 18 competitors in 1976, making it a quite successful entry for Italy. They would actually return in 1985 with Magic oh Magic. 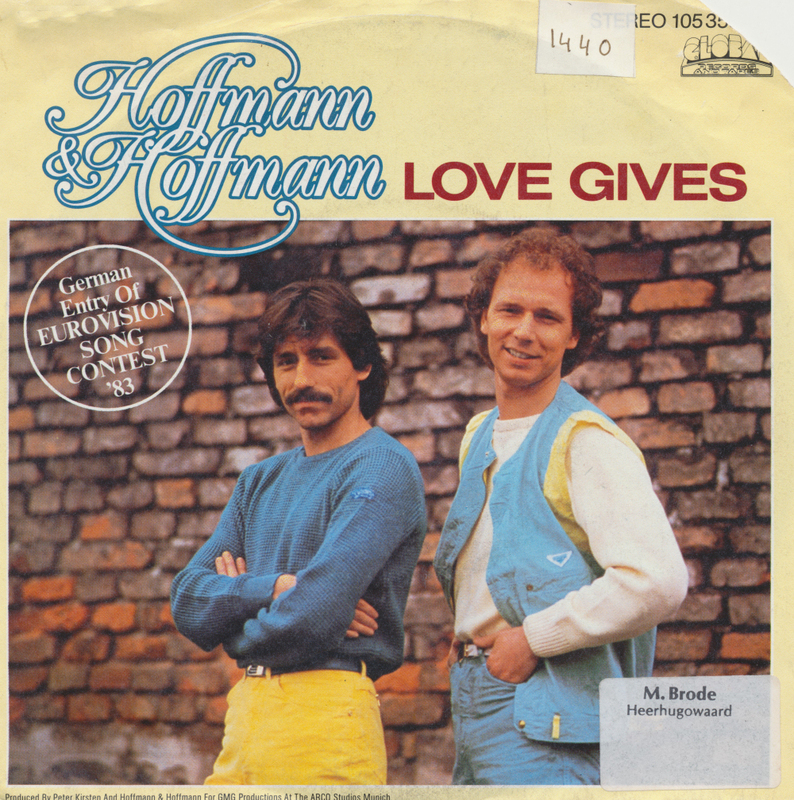 Hoffmann & Hoffmann represented Germany in the Eurovision Song Contest in 1983 with Rücksicht. The duo also recorded their song in English, as you can see here. The single appeared in record fairs and online for handsome prices, so I was suitably amused when I found this copy for half a euro at a local flea market. While his brother committed suicide in 1984, Michael Hoffmann continued in music and worked as a producer and composer for other artists, including Eurovision veterans Gitte Haenning, Wencke Myhre and Nicole throughout the Eighties. Afterwards he focused mainly on making spiritual and meditative music. One of the most beautiful Spanish entries for the Eurovision Song Contest was Julio Iglesias' 1970 song 'Gwendolyne'. I didn't know that the song was actually covered, but stumbled upon this single during a bit of online shopping, much to my delight. 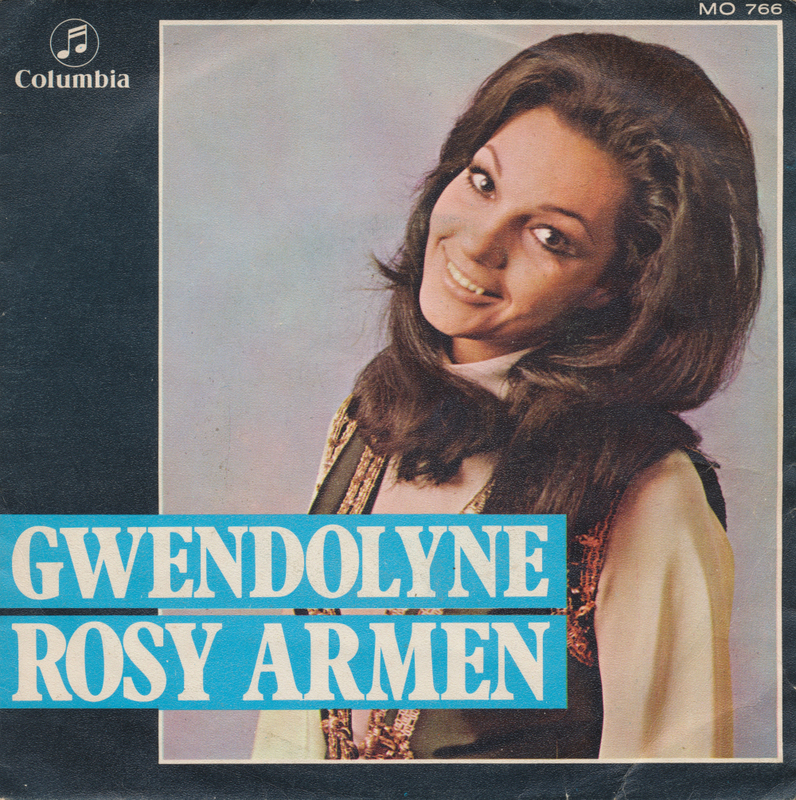 Rosy Armen was born on May 1, 1939 in Paris (France) to an Armenian couple. She became popular as a singer of French, Spanish, German and Armenian songs at the end of the Sixties. She released her version of 'Gwendolyne' within months of Julio Iglesias's original. Jimmy Webb wrote 'By the time I get to Phoenix'. It was originally recorded in 1965 by Johnny Rivers. Two years later, it was covered by country singer Glen Campbell, who had a hit with it Stateside. 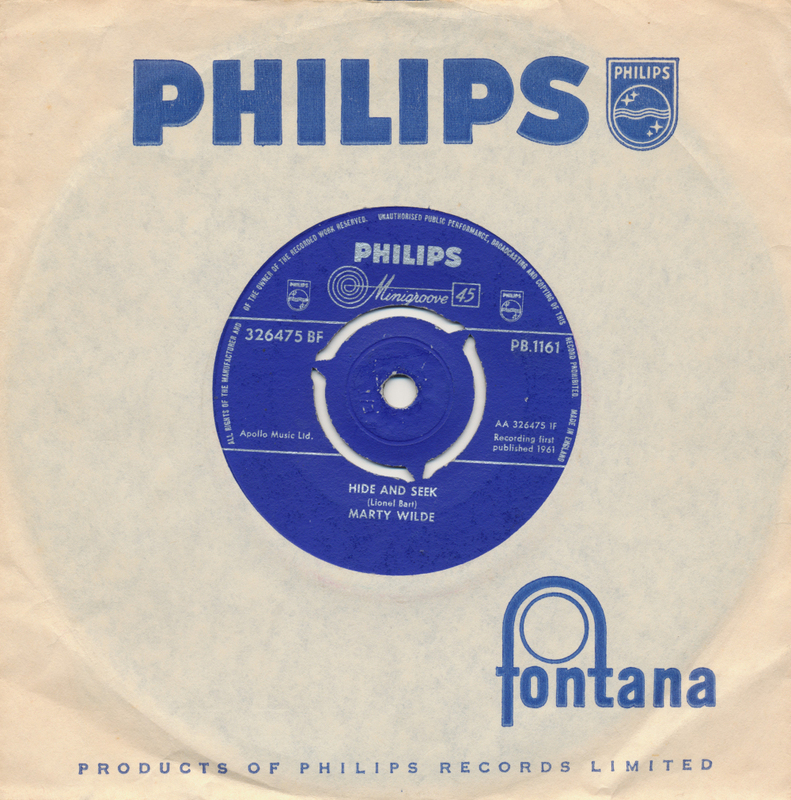 Marty Wilde recorded his version in 1968. The song was not a hit for him, but it should have been. Around the same time, he recorded his classic album 'Diversions'. Some success was looming in Europe with 'Abergavenny', a single taken from that album. Both were criminally ignored in the UK, but since Marty received an MBE yesterday, I guess all is forgiven now.